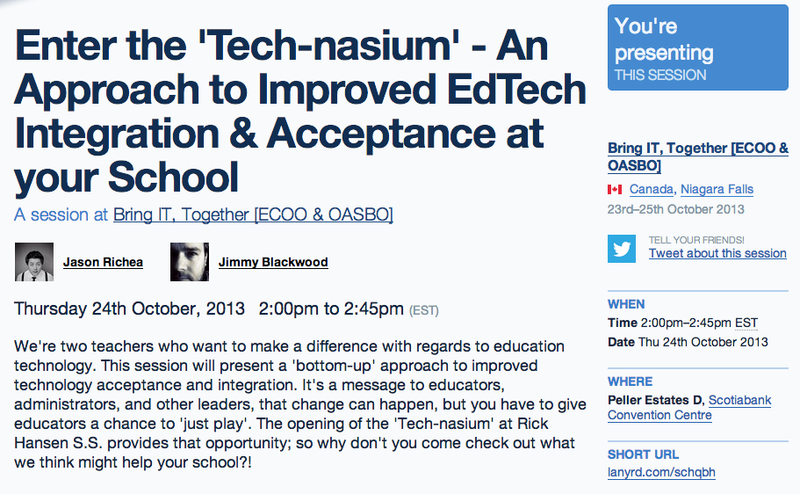 Well we've decided to take the #Technasium on the road - we've packed up the room, put the whole thing in a winnebago (pretty large winnebago I know! ), and set out on the open road to share our idea. We have Steppenwolf blaring through our soundsystem, and nothing but freedom in front of us. 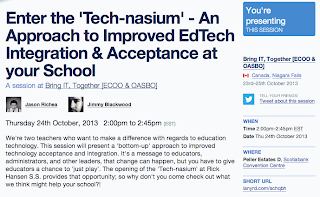 First stop is the ECOO & OASBO ICT Conference 2013 - "Bring IT, Together". So if you can't make it, not to worry. Grab a comfy chair, a coffee, some popcorn, and watch it live on Thursday, October 24 @ 2 PM.